Evonne Ryan is founder of Finer Center. Her dedication to helping people expand their base of knowledge around financial issues comes from her history as an educator, consumer advocate, Emmy award winning television producer and her extensive work in the financial industry. In her 25 years of service as a highly respected Financial Securities Advisor, Evonne always felt that something was missing from the typical financial conversations. She knew there should be more to the relationship between advisor and client than just helping a person decide how to invest his money or how to create her tax shelter. She knew that people – in order to make powerful choices about their money – should, first, come to understand their relationship to money and wealth and, second, have the tools to powerfully create the future they want to live into before they decide how to invest, how to save, and even how to earn their living. Back in 2004, Evonne earned a coaching certification from the Academy of Coaching Excellence so she could integrate coaching into her Financial Conversations. The result was so powerful in helping her clients achieve their dreams that she now knew that she had to bring this extraordinary set of tools to the world of financial advice. Building on her background as a coach, teacher, lobbyist, speaker, television producer, and financial radio commentator, she dedicated extensive time creating the Certified Financial Coach™ program to empower professionals in the financial field (coaches, advisors, financial planners) to work with clients to redesign their relationship to money and wealth and to make choices from their bigger commitment to living fulfilled lives. Evonne served as a Registered Securities Principal of NFP Securities, Inc., with series 24, 7, 63, 65, and insurance licenses. She is trained as an Accredited Investment Fiduciary ®, Certified Coach, and Mediation/Conflict Management Specialist. In October 2005, Evonne became the nation’s first Certified Financial Coach TM. She has lived her life as a contribution to others throughout her career as a published author of “Changing More Than the Channel”, as an EMMY and ACE Award winning television producer for producing St. Louis Comic Relief Telethon for the Homeless, as a recognized leader producing financial and community television and radio programming and as co-founder of two financial planning firms dedicated to helping people in their life transitions. Evonne Ryan has a unique passion. Day after day she works supporting others not only in becoming empowered in their relationship with money but Evonne also commits her energies to helping others find true wealth in their lives. Evonne helps individuals identify purpose and direction. Her experiences and expertise in areas of finance, teaching, coaching mediation and communications meld together to make a difference in the lives of people she touches. Evonne’s time and energy is spend supporting and running organizations dedicated to helping others live from a new understanding of who they are, a true understanding of wealth and how money can effectively serve what is truly valuable in their lives. Her work is documented by the books she has written and the conceptual materials she adds to curriculum used by various organizations to teach empowerment to others. 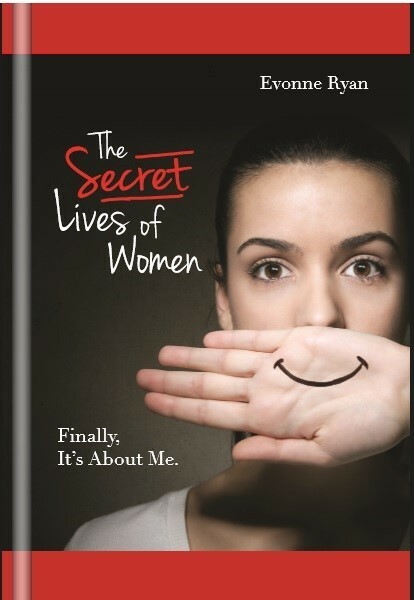 With the April 2014 release of her book, THE SECRET LIVES OF WOMEN, Evonne provides an inspirational message which has impacted women and men alike. Secret Lives is the first of books focusing on empowering individuals. The next in the series involves financial basics and wealth strategies to empower individuals in their financial life. Evonne is not new to spreading a message of empowerment. In early 2011 with the release of STEPPING STONES TO SUCCESS (a book with Deepak Chopra, Jack Canfield and Denis Waitley), Evonne Ryan was able to help people understand the small steps necessary to develop a new relationship with money and wealth. She builds on her work as a financial professional and strategies with over three decades of experience working with people on pocketbook issues. 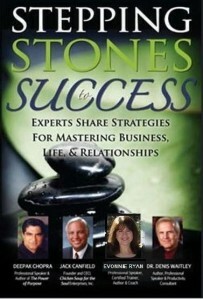 Evonne’s first book “CHANGING MORE THAN THE CHANNEL” was written in 1984. The forward of the book was written by Ralph Nader. As a prior Registered Securities Principal, Evonne supervised financial professionals and built financial planning firms focusing on helping clients with life planning. Her past training and work in estate planning and in the area of senior issues adds to her training in Coaching, Mediation and Conflict Management Evonne’s history includes an impressive background working directly with high net worth clients – helping to design and implement financial strategies for clients with sophisticated needs. 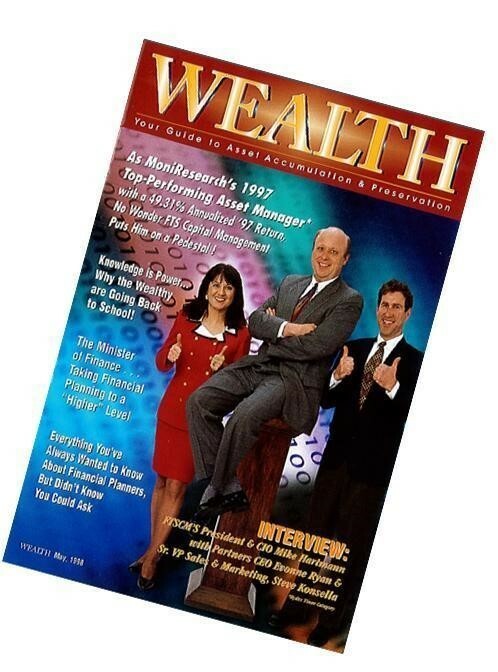 As co-founder and CEO of Wealth Strong Capital Management, she and other principals of her firm were honored on the cover of Wealth Magazine for being named Money Managers of the Year in 1997 by Moni-Research. Evonne developed a system to guide coaches, advisors, and financial planners to work with clients to redesign their relationship to money and wealth. Evonne always felt that something was missing from typical financial conversations and had great concern that financial professionals lacked a broad-based approach to looking at cash flow longevity (the number one concern for most Americans). In 2008 she dedicated her full energies to building WEALTH STRONG®. She knew there should be more to the relationship between advisor and client than just helping a person decide how to invest his money or how to create his/her tax shelter. She knew that people first need to understand their relationship to money, debt and wealth. Secondly, they need tools to powerfully create the future they want to live into before they decide how to invest, how to save, and even how to earn their living. She developed new models– all with a concentration on a non-judgmental approach to planning focused on practical practices increasing cash flow longevity for clients. The key is to have money serve the true wealth in a person’s life — not for people to serve money. The results are powerful. In December 2009, Evonne Ryan and Vicki Manning CFP™ decided to build on their experience to serve federal employees and in 2011 founded the organization Federal Employee Benefits Center (FedEBC.org). FedEBC provides the services of benefit specialists and advisors with a dedication to financial literacy and empowerment to federal agencies and federal employees. Later FedRW was founded to work on a nationwide level. This group have dedicated themselves to the purpose of serving those who serve others – believing this was a way to help a group of individuals who have been under-served in the past. Evonne is trained as an Accredited Investment Fiduciary®, Certified Financial Coach™, Certified Estate Planner® and Mediation/Conflict Management Specialist. She has lived her life as a contribution to others throughout her career. Evonne continues to help clients through her work as a Federal Benefits Specialist and as a financial strategist as she worked with individuals and families to help create wealth. She is dedicated to helping financially strengthen families across America through FedEBC.org, FedRW.org and Finer Center. 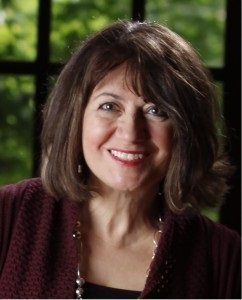 As a certified coach who has attended training with three coaching schools, she uses her coaching expertise as she continues to train financial and coach professionals in college and adult learning classes.